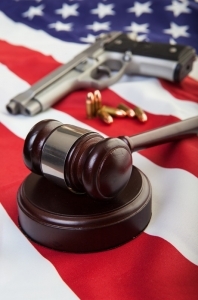 Before the Stand Your Ground Law was introduced in Florida, the state operated under the Duty to Retreat Law. This law stated that if you can safely avoid death or serious bodily injury by retreating then you legally cannot use deadly force to defend yourself. This changed in 2004. James Workman shot an intruder who was trying to break into his RV while he was sleeping in a parking lot. Workman waited months for the prosecutor to decide he acted in self defense. This case was the compelling force the NRA used to lobby for Stand Your Ground. Florida became the first state to institute the Stand Your Ground Law with 26 other states following close behind. To date, more than 30 states have some version of the law on their books. Prior to Stand Your Ground, the use of deadly force was not considered self defense unless you were being attacked within your own home. Since it’s been enacted, you can claim self defense in public if you feel your life is in imminent danger. Who was Legally Standing Their Ground? The law was passed with the intention of protecting the innocent. Those opposed believe it is used more as an excuse to kill. So, who is actually benefiting from this law? We heard a lot about Stand Your Ground through the George Zimmerman trial where he was accused of murdering 17 year old Trayvon Martin. 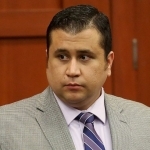 The interesting thing about that case is the Stand Your Ground law was never actually used as Zimmerman’s defense. We saw a replay of this in the Michael Dunn trial. Dunn was on trial for murdering 17 year old Jordan Davis on Black Friday, 2012. The media constantly compared the two cases and, once again, brought up the Stand Your Ground law. One of the more recent shootings that is getting attention around Stand Your Ground comes from a movie theater in Wesley Chapel, Florida where Chad Oulson was shot by Curtis Reeves for texting. The commonality within these three cases is that none of them actually fit the definition of Stand Your Ground and yet all three cases have been tied to that defense in one way or another by the media. Police discovered in all three cases, the victims were unarmed. Martin was carrying a bag of skittles and a soda, Davis was in a vehicle that was trying to retreat and Oulson had a bag of popcorn and his cell phone in hand. None of these cases imply imminent danger which is why their lawyers never tried to use Stand Your Ground as a valid defense. The Tampa Bay Times complied a list of all of the cases in Florida in which Stand Your Ground was involved. Since the law has passed, 26 children and teens and 134 individuals have died in Stand Your Ground cases in Florida alone. Included in this list is a description of what happened and the outcome of the case. How many accused were found not guilty by reason of self defense? On the other side of that, Florida is actually looking to expand the Stand Your Ground laws to include a “warning shot” bill, and now a “threatened force” bill. This bill would extend immunity from both criminal and civil charges to those who point a gun at an attacker or fire a gun as a self-defense threat or warning.